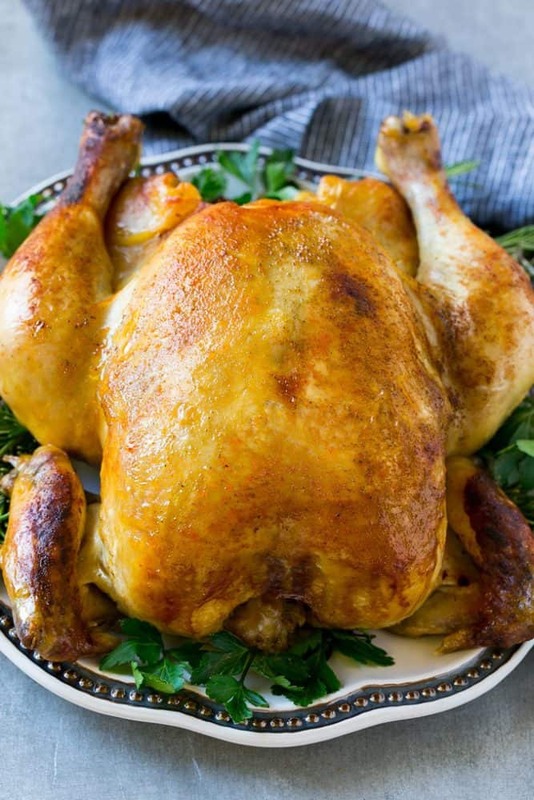 Cooking a whole chicken has never been easier than this Instant Pot roasted chicken! The chicken cooks in just 30 minutes and produces a moist and juicy bird that's the perfect simple dinner option! Place the salt, pepper, smoked paprika, garlic powder and onion powder in a small bowl; stir to combine. Rub the spice mixture all over the outside of the chicken. Press the Saute function (Normal setting) on the Instant Pot and add the olive oil to the pot. Place the chicken in the pot, breast side down and cook until browned, 4-5 minutes. Flip the chicken over and add the chicken broth to the pot. Select the Manual pressure and adjust the timer to 25 minutes. Let the Instant Pot naturally release the pressure at the end of the cooking time. Remove the chicken from the pot and serve.